The Practitioner-in-Residence Program represents collaborative learning. Through this program, the School of Divinity will open the doors of the School and University through short term (one- or two-week) residential experiences to ministry practitioners, offering relatively unstructured space to reflect on, read and write about, ritualize, and be in conversation with curious students, faculty, staff, and community members who share interests in the practitioner’s field of work. It is our hope that the Practitioner-in-Residence Program allows the practitioner to come away from their time in residence with a sense that they enjoyed some space to step out of their day-to-day work to bring to their own consciousness, reflect on, and deepen the wisdom they have developed around their practice of ministry by engaging with School of Divinity community members. Rev. 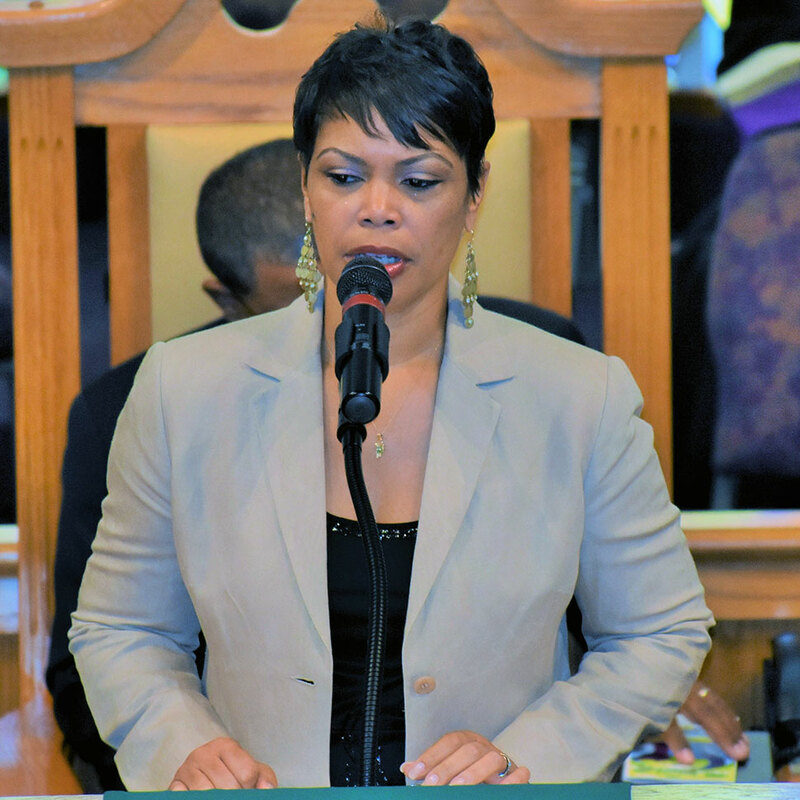 Dr. Yvette Lovett Martin serves as the first Executive Minister at United Metropolitan Missionary Baptist Church in Winston-Salem, NC. She has a passion for God’s people, God’s church, and the effectiveness and efficiency of church administration. Martin, born in Philadelphia, PA and reared in Columbus, OH, has been in ministry for over 15 years. Her passion for ministry has led her to serve the church and the community – full-time pastoral staff inside of the church and as a board member of Habitat for Humanity outside of the church. She has also been afforded the opportunity to share her research and experience by facilitating workshops and seminars on congregational health and church administration. She holds a D.Min. from United Theological Seminary, a M.Div. from Wesley Theological Seminary, and a B.A.. in Social Work from Bowling Green State University. Rev. Dr. Lovett Martin is teaching “The Ministry of Church Administration” during the Spring semester. Dr. David Parajón is a physician, public health practitioner, social entrepreneur, and missionary. He will share a case study illustrating the Community Based Participatory Approach to primary health care that AMOS Health and Hope has been implementing in rural Nicaraguan communities over the last 10 years to effectively improve their health and contribute towards their empowerment. Parajón is a Co-Founder and the Executive Director of AMOS Health and Hope. Building on the vision and pioneering community health work of his father, Dr. Gustavo Parajón, the heart of the AMOS approach is to use participatory methods to involve community members every step of the way while collaborating in a three way partnership between AMOS, communities and the government health system. He earned his M.D. from Case Western Reserve University School of Medicine in Cleveland, OH. Parajón trained in internal medicine at the University of New Mexico Health Center in Albuquerque, and in preventive medicine and earned an M.P.H. from Johns Hopkins School of Hygiene and Public Health in Baltimore, MD. He earned his M.B.A. from INCAE School of Business in Managua, Nicaragua.Parajón was the director of the Hospital Bautista in Managua from 2003-2006. Dr. Parajón is co-teaching “Community-based Research: Tools for Addressing Health Inequities in Community” during the Spring semester with Dr. Mark Jensen and his wife, Dr. Laura Parajón. Dr. Laura Parajón is a family physician, medical missionary, and public health professional who has worked in the health equity ¨trenches¨ of rural Nicaragua for the past 17 years. She will share the community empowerment tools AMOS Health and Hope has used to form effective partnerships with communities and churches to improve health for the long haul. Dr. Laura is the Medical Director and Co-Founder of the Christian non-profit organization AMOS Health and Hope. She is driven by the fact that every minute of every day, 20 children around the world die of completely preventable illnesses (from UNICEF). As a physician and grateful mom of three healthy young adult children, she has a strong call to work towards a world where every child has the opportunity to thrive and live an abundant life. 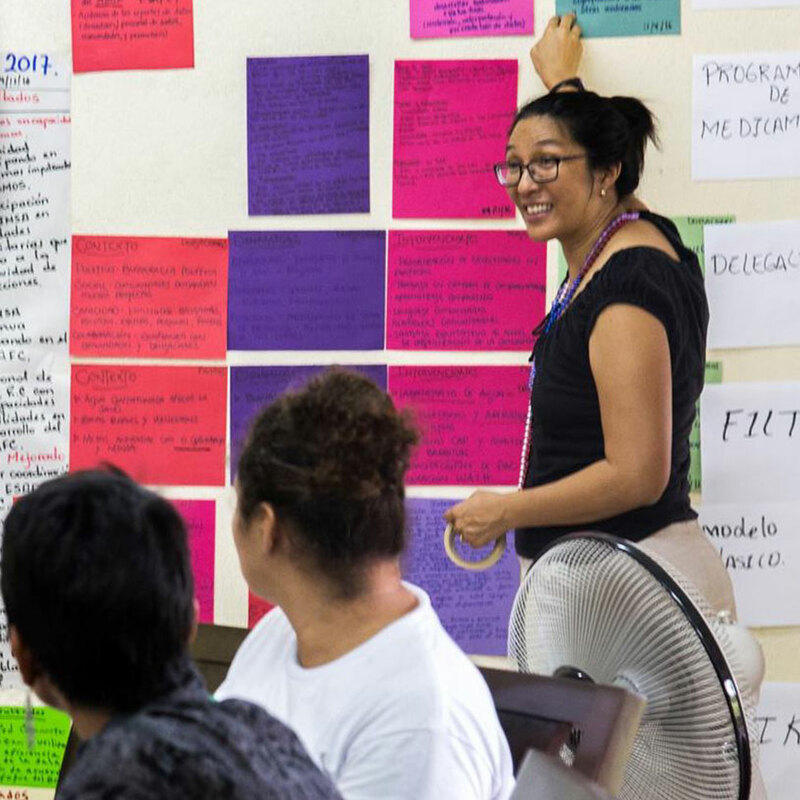 As a team, Laura and her fellow Nicaraguan health professionals and community health workers use participatory, empowering, and strengths-based approaches to work alongside and learn from communities. 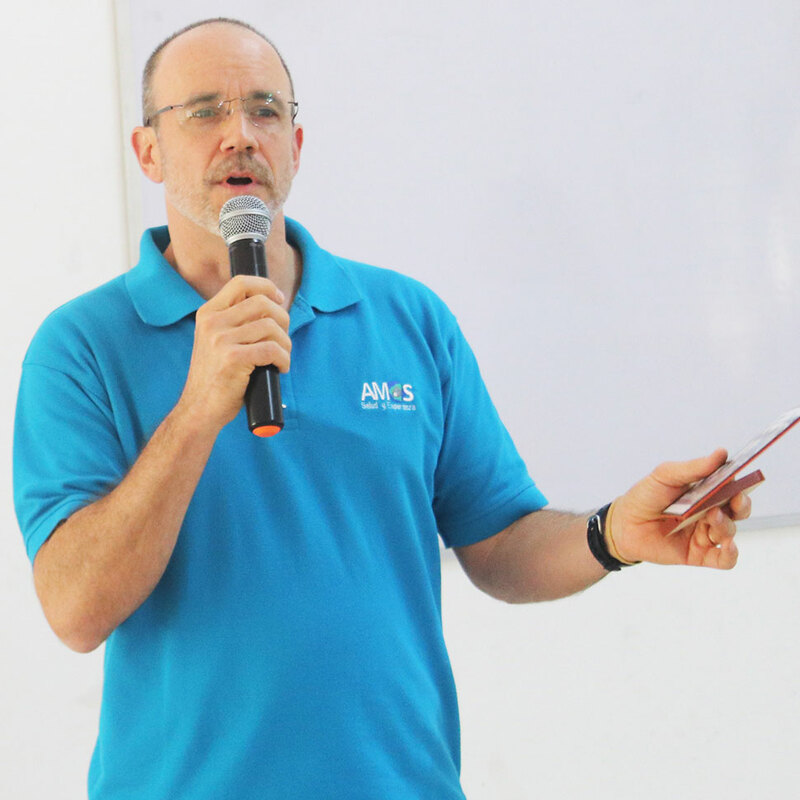 Using this action-reflection approach to improving health, AMOS community health workers in remote rural areas have reduced child death rates by 80% in the communities they serve. Dr. Laura received her B.A. from Brown University, M.D. from University of New Mexico School of Medicine, and M.P.H. from University of New Mexico School of Public Health. She completed her residency in family medicine at the University of New Mexico School of Medicine in Albuquerque. Dr. Parajón is co-teaching “Community-based Research: Tools for Addressing Health Inequities in Community” during the Spring semester with Dr. Mark Jensen and her husband, Dr. David Parajón. Melissa Rogers, who previously served as Special Assistant to President Barack Obama and Executive Director of the White House Office of Faith-based and Neighborhood Partnerships, will serve as a Visiting Professor. Her leadership will help students explore ways in which religion and government intersect, including through social service partnerships and on issues of public policy, law, and politics. Rogers currently serves as a nonresident senior scholar at the Brookings Institution, a think tank based in Washington, D.C. She directed the Center for Religion and Public Affairs at Wake Forest University School of Divinity from 2003-2013. In 2009, President Obama appointed Rogers to serve as chair of his inaugural Advisory Council on Faith-based and Neighborhood Partnerships. She directed the Pew Forum on Religion and Public Life from 2000-2003 and worked as an attorney for the Baptist Joint Committee for Religious Liberty from 1994-2000. 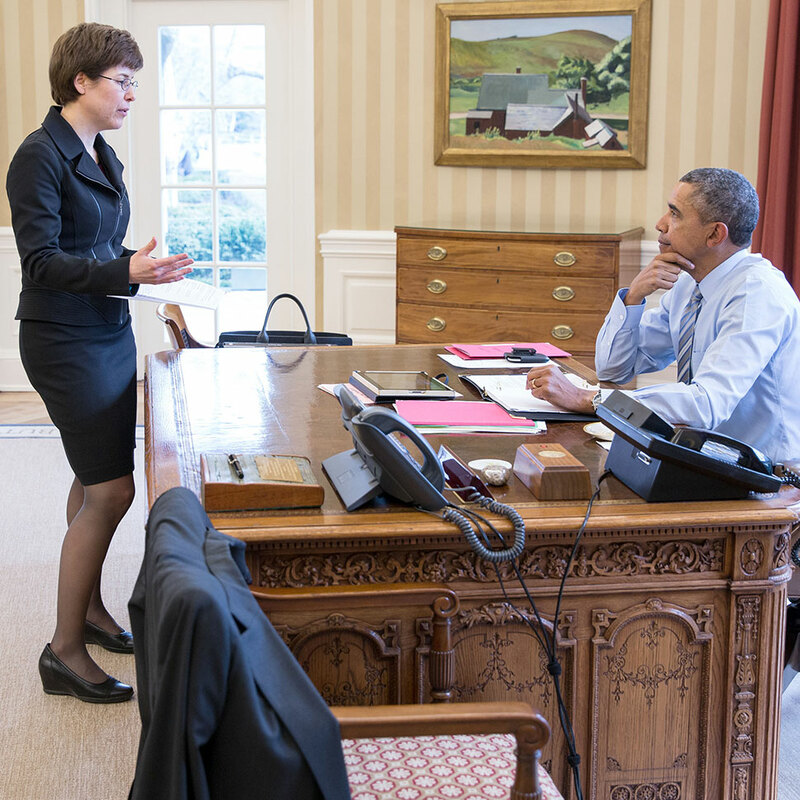 In 2013, President Obama appointed Rogers to the United States Holocaust Memorial Council, where she continues to serve. Rogers is teaching “Religion in American Public Life: Legal and Theological Perspectives” during the Spring semester. Through innovative non-degree programming, The Collaborative for Public Religious Leadership will prepare agents of justice, reconciliation, and compassion ready to navigate the challenges of a rapidly changing religious landscape. The Collaborative will model the re-shaping of theological education through the creative exploration of emerging wisdom about the life and work of ministry.